Cook County Property Valuations and Tax Bills Inaccuracies Cause for Concern? 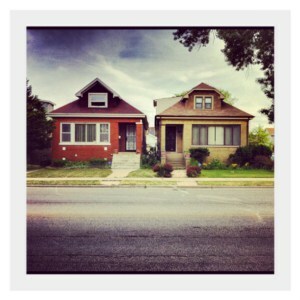 | Fournier Law Firm, Ltd.
Cook County Property Valuations Cause for Concern? Each year home owners receive a new property tax bill and have the opportunity to see what value their county assessor’s office has assigned to their property. The property value on tax bills should be an accurate representation of the home’s true market value. However, residents of Cook County, according to the Chicago Tribune, are not receiving accurate property values. Sadly, inaccurate valuations are negatively impacting many home owners in lower income communities. Worse yet, it seems as though wealthy home owners are benefiting from their properties being undervalued by the assessor’s office. After analyzing millions of property tax records over a period of 12 tax cycles, the Chicago Tribune determined, “Residential assessments have been so far off the mark for so many years that the credibility of the entire property tax system is in doubt.” Despite his announcement in 2015 that his office would be using new technology and models to improve the accuracy of property valuations, Cook County Assessor Joseph Berrios continued to utilize old computer models were still until at least 2015. A detailed breakdown of the property values, according to their geographic locations, shows that homeowners in some of Cook County’s most affluent neighborhoods are receiving tax bills based on properties that are undervalued by 10 percent or more. “Meanwhile, home owners in poorer areas of Cook County have properties significantly overvalued by the county. As a result, people living in poorer areas tended to pay more in taxes as a percentage of their home’s value than residents in more affluent communities,” says Jason Grotto from the Chicago Tribune. Want to fight your valuation and reduce your real estate tax bill? Contact our office for a free review of your property. Read the entire article published by the Chicago tribune.